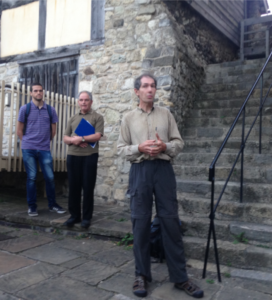 My name is Mark, I joined Hamwic Speakers in May 2015. 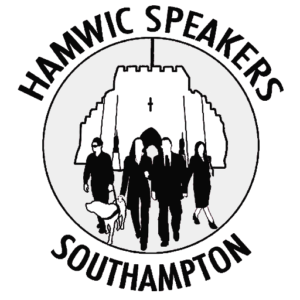 The past 2 years with Hamwic Speakers has changed my life giving me the confidence and practise to improve my speaking and presentation skills. Before joining Toastmasters, I was often required to present publicly with my work and interests but struggled with the mechanics of presentation. Like most people, I really did not enjoy public speaking. Speaking with friends and family was fine but for some reason once in front of strangers giving presentations or speeches, I floundered. The stress and worry during presentations and the build-up to them knowing I was not very good were a constant issue that really held me back. I am pleased to say that this is no longer the case and I now enjoy giving speeches! I never thought that would be the case in my life. Everyone’s public speaking development needs and incentives for doing it are different. With Toastmasters, you can get what you need and work on it to become a better speaker – meetings can also be good social events. When you join Toastmasters, there is a lot to learn. For example, there are over 10 roles for each meeting that need to be filled. 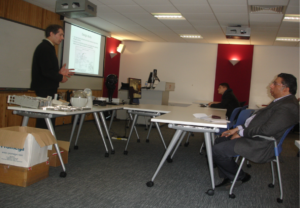 Each has a specific aim to improve your leadership skills or your speaking skills. When I joined the first speakers I saw were exceptional. They moved around the stage with purpose and authority, their voice was clear, unwavering and they had great vocal variety. This did nothing to calm my nerves as I thought I could never follow that! 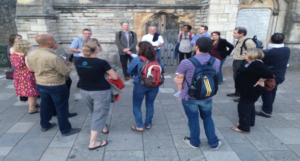 However, as the night went on and as the months went on I realised the competence of speakers ranged from the professional to the absolute beginner. The aim of the group is not to see who the best is but to see how much better you can make yourself. Since that fateful night, I have now completed over 15 speeches, been involved in over 50 meetings, been appointed to the club committee and had the great honour of being Hamwic Toastmaster of the year! This has had a tremendous impact on my work and personal life. 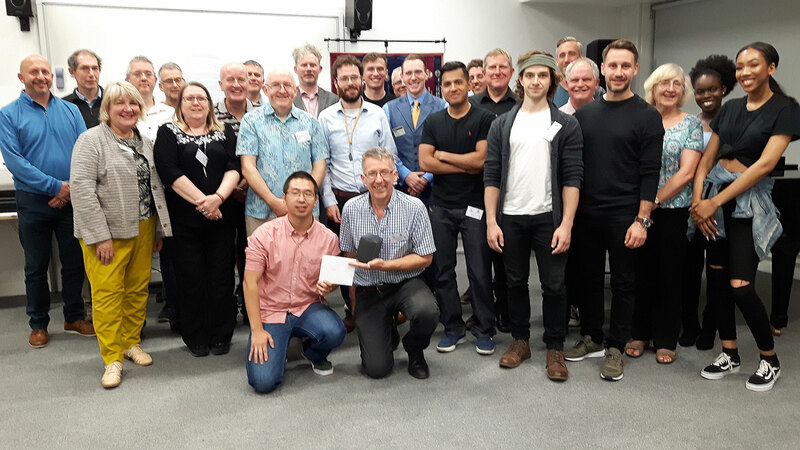 I recently gave a presentation at Southampton Solent University and the Wessex Round Table of Inventors (WRTI) on product development which involved a 1.5-hour presentation using PowerPoint, video and demonstration of physical products which went down very well. I am also due to give a historic speech to the Friends of St Mary’s church as well a speech at the Parliamentary review gala at the Palace of Westminster. Watch this space! 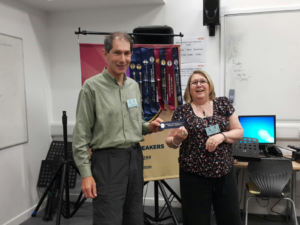 I am eternally grateful to Hamwic Speakers and Toastmasters as the confidence and ability to do this presentation were greatly boosted by joining the club. Toastmasters is not for everyone. For some people, they simply do not have enough time. Others feel they are already very strong communicators and do not need this which is fine. If however, you experience any of the following then we really think you will like our club. Do you ever have to do presentations at work and feel very stressed whilst preparing or doing them? Do you ever struggle to sleep because you are nervous about having to be in a meeting the next day at work? Have you ever been asked to do a speech at a wedding, funeral or any other event and feel like you are about to die! Do you often struggle to speak to people at work (at the water cooler!) or when meeting new people? Do you often drink too much at parties because you are nervous talking to people? Well, if you answered yes to any of these then I really think we can help.